Looking back on 2015, I’m reminded of nothing but amazing and life changing moments. I do not know how to express how much this year has influenced my life, but I will always look at 2015 as one of the greatest in my 21 years of life. I can honestly say that during the course of the year I've accomplished what I wanted to do in life. I am the kind of person that dreams big, and I’m so proud to say that I realized my dream or traveling across the world. In the beginning of 2015, I got the opportunity to study abroad in Europe for five months. I spent five weeks each in Rome, Italy, Seville, Spain and in Paris, France. While I was in Europe I took advantage and traveled to other cities. I made my way to Venice, Vatican City, Tivoli, Naples, Capri, Pompeii, Sorrento, Morocco, and London. As an aspiring journalist, traveling and seeing the world is part of my future. These five months were full of adventures, happiness and challenges. Challenges that include, moving from one dorm to another, and from one hostel to another, trying to adjust to the time zones and the different cultures and foods. Traveling the world allowed me to open my mind and see the world in a new and different way. All the people I met from these exotic cultures taught me that the way I experience the world through the lens of mass media is not be the same way everyone else does. I am so grateful for everyone I met abroad. The times we shared in Europe will never be forgotten. This year I got my first car with the help of my brother and my mom. I wasn't a big fan of the car, but who ever likes their first car anyways? I got a 2002 Hyundai Santa Fe. The best feeling that comes with having a car is knowing that you don’t have to wake up extra early to sit on the MTA for 3 hours just to go to school. This year I also got the opportunity to write for Hong Kong’s Jumpstart Magazine. This is a startup magazine based in Hong Kong. It took me out of my comfort zone because I never wrote about technology and startup companies before. It was humbling to be writing for a publication on the other side of the world. I want to use my platform to help others. A few months ago, I crossed into Alpha Phi Omega. This is a service fraternity filled with so many amazing people. My web show What’s Relevant TV had its second annual cancer event this month and the turn out was great. We raised $900 and all proceeds were donated to MSK Cancer center. A goal for 2016 would be to raise more than what was donated this year. This year helped me discover who I am in a way that only the road brings. From traveling to another continent to driving from one place to another and working for a magazine in China, I definitely had my share of traveling. Although there were some rocky times, I’ve always stayed positive. 2015 was just so great to me. 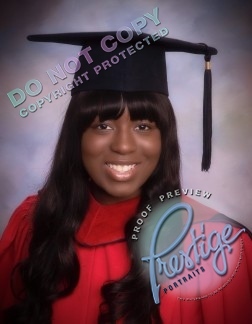 I graduate in May of 2016 with my bachelors so I know the New Year will be even better. I have the energy to set out more challenges in my life because I know I can accomplish anything I put my mind to and I want to inspire others to do the same.